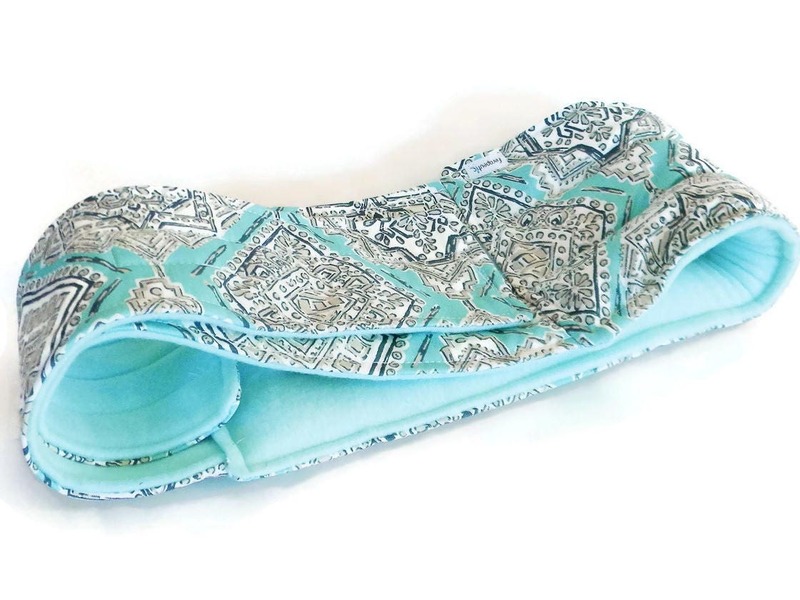 Lower back heating pad is a microwave heat pack or cold pack for the lumbar area. 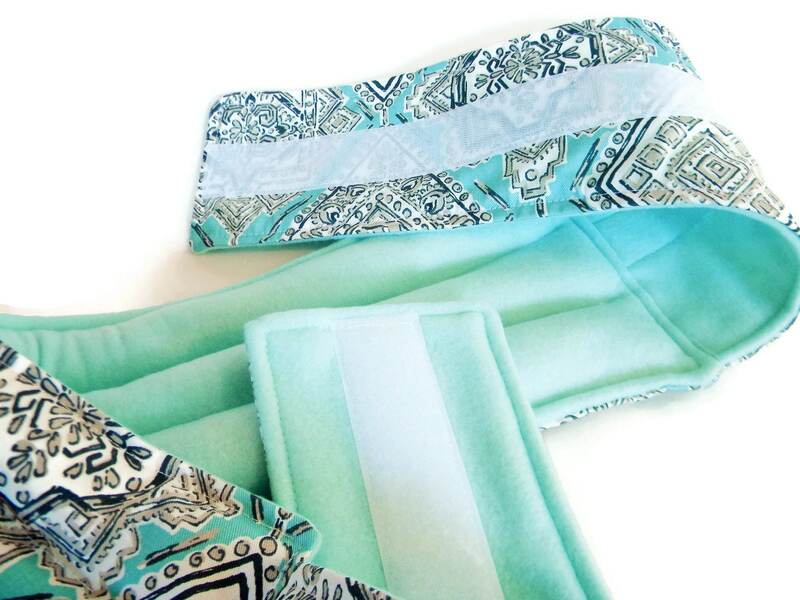 Lower back heating pad wraps around the lower back and attaches easily with comfortable, adjustable velcro straps. Stay mobile while relaxing! 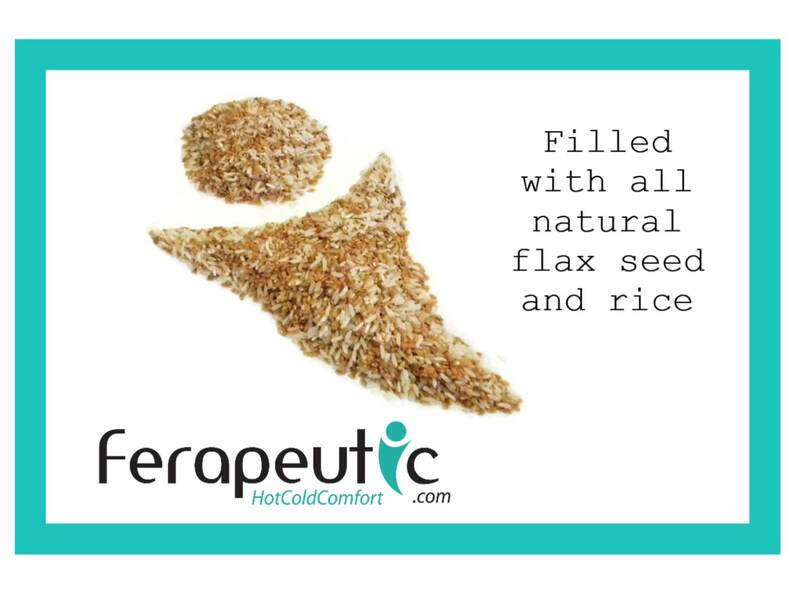 Lower back heating pad is filled with rice and flax which are excellent conducters or warm, moist heat. 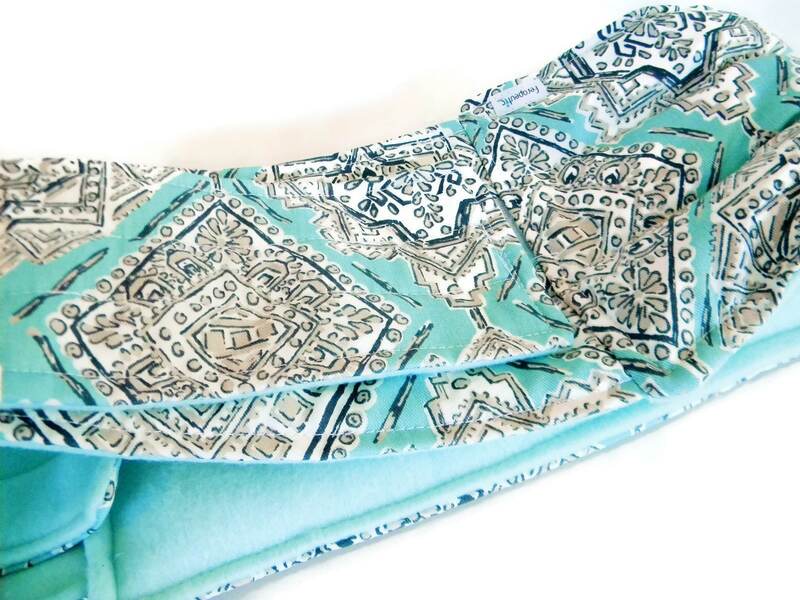 Pop our lumbar heating pad in the microwave for about a minute to enjoy soothing warmth. A few hours in the freezer turns your heating pad into a cold pack. Attractive enough to wear outside your clothing yet thin enough to wear underneath. The lower back heating pad itself measures approximately 20" x 6" and has three sewn in channels to for even distribution of lower back pain relief. The straps completely adjustable for almost all sizes with a total length of approximately 50" (let us know if you need longer). 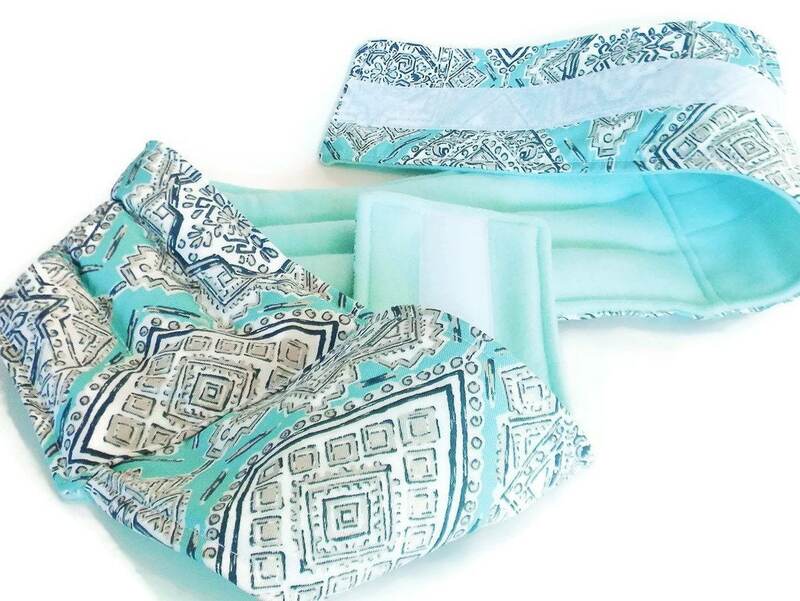 We offer to scent your lower back heating pad at no extra charge. 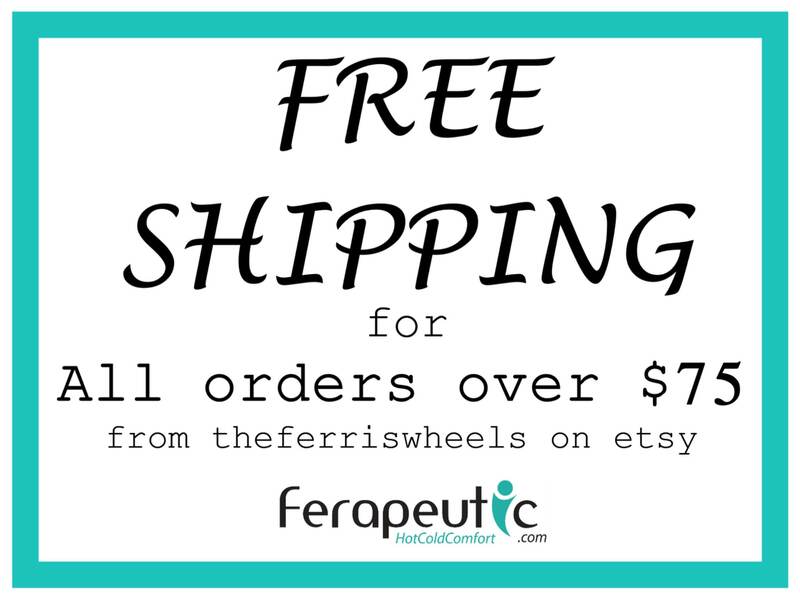 Simply request real lavender or chamomile in notes during the check out process or use the drop down menu. 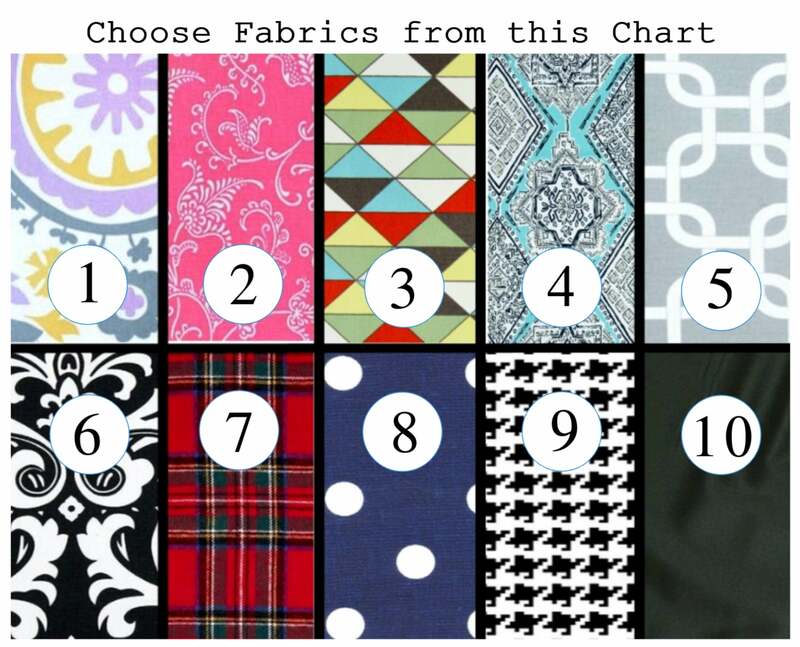 Fabric pattern placement may vary from the photos. Shades of solid fleece backing may vary depending on availability. We've been designing unique microwave heat cold packs since 2008 - please check out our whole product line!